Join our Creative Journey program in 2017. 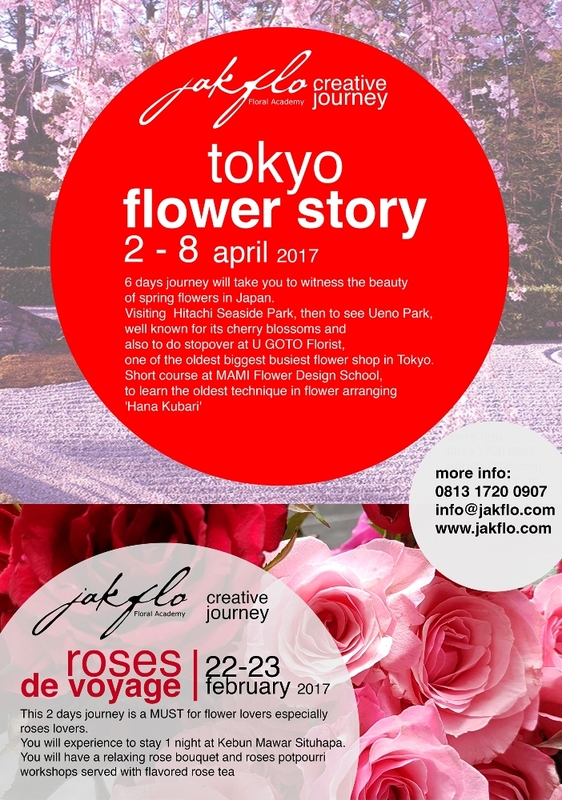 Creative Journey is one of JFA program to invite the students as well as flower lovers to visit flower places in domestic or International to elevate their knowledge in floristry. We will take you to see the beauty of flower garden or nursery in different places, also to do workshop or short course to learn new techniques. It will be fun and exciting experience also giving you an unforgettable flower journey in your life.